He described the three child per woman policy target of the NPC as ‘arbitrary and whimsical, even dangerous’ and said there is no research ‘anywhere that identifies three children per woman as the optimal threshold’. He states that we are growing at 2.2% which is fine, and therefore we need to sustain the growth. It is however important to note that, our 1969 population policy had a target of 1.7% by the year 2000. Nonetheless, at 2.2 per annum, how much of our GDP do we need annually to just maintain our quality of life giving the life span of our durable assets such as schools, hospitals, roads, bridges currently perked averagely at 50 years not considering the human capital? The population of Thailand in 1970 was about 37 million, in2016 it was about 68 million with a GDP per capita increased from $570 in 1960 to $ 5901 in 2016. How does this compare to our situation in Ghana? The claim by the economist that if indeed high population growth in Africa is the cause of migration, Africans should have been leaving long time ago is mistaken. A profile of the migrants will show that these are young people who have reached their prime ages and cannot find jobs. This is the result of high population growth and slow economic growth. The high population growth rates he is referring to applied to smaller bases, 3.6% of 6 million therefore any little loan or grant we had was sufficient for our needs, but that will not be sufficient if our growth rate is 2.5 or 2.2 percent of 30 million. A fertility rate of 6 among 1 million women of reproductive age will result in far fewer absolute births than a fertility rate of 4 among 5 million women. About 40% of Ghana’s population was less than 15 years in 2010 and by 2035 all those surviving from this large cohort and still living in Ghana will enter the economically active population. That high population growth increases the need for employment. This is very well demonstrated by Linden in New York Times of June 8th2018. He described it by illustrating that USA with its population structure generated 129,000 new jobs monthly, however, an America size Tanzania population structure would have had to produce 636,000 new jobs monthly without ceasing. We all have a stake and we will co-create the Ghana we want. Yes, one huge change in Africa according to Robert Engelman is the mushrooming of gigantic cities. 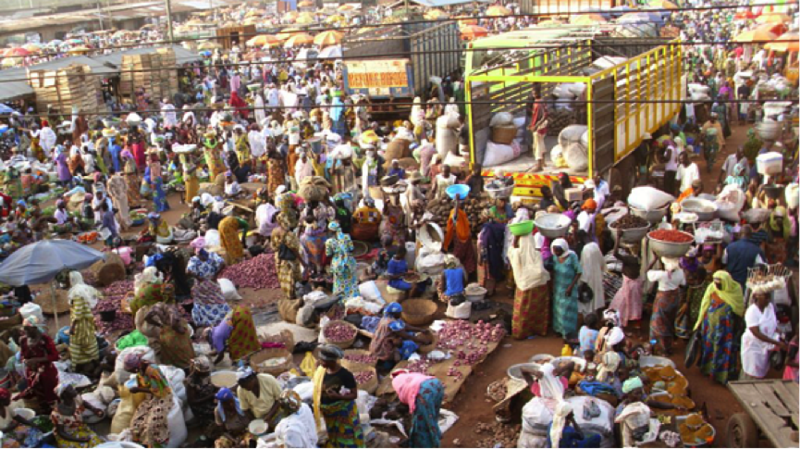 Ghana is urbanizing rapidly with most people arriving from failed farmland and settling into slums. The vision of the NPC is quality life for the people of Ghana (children, teachers, nurses, mothers, fathers, doctors etc.) not just number of births. Numbers with purpose.